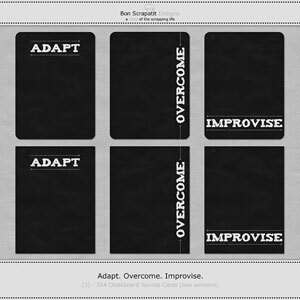 Bon Scrapatit Designs: CHIPPED GLASS??? A PEACE OFFERING??? WHICH WOULD YOU CHOOSE? CHIPPED GLASS??? A PEACE OFFERING??? WHICH WOULD YOU CHOOSE? LOL! Hmmm .... how about BOTH??? Blogger is planning an outage here in about an hour my time. I'm not sure for how long, but I thought I'd better get your freebie uploaded while I can! 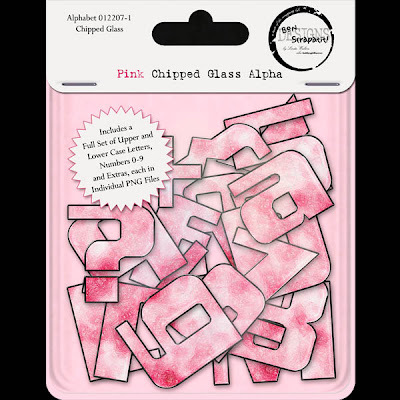 So ... while I am in DEFROST mode and trying my darndest to get *LOVE ACTUALLY* updated a bit and ready for your downloading pleasure, I offer you this small token (peace offering), in the form of a *PINK CHIPPED GLASS ALPHA*, which is ONE of TWO alphas that are included in my *LOVE ACTUALLY* scrapkit!!! 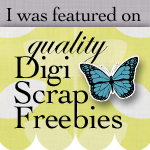 I must share a bit of nostalgia here by telling you that this was my VERY first designer submission to 3Scrapateers and was a freebie in the debut issue of our e-zine prior to ScrapStyle! It has actually just been a tad bit over a year as I dated the package, 012207!!! WHOA! I guess I kind of missed my one-year anniversary!!! He, he .... well, I think I'd rather celebrate that in June when I became an official member of the Design Team at 3Scrapateers!!! Anyhoo, this li'l 'ol Chipped Glass Alpha is what inspired the scrapkit, *LOVE ACTUALLY*!!! It is the VERY first package I EVER placed my logo on!!! Aren't NEW ventures ALWAYS so exciting??? I hope that you enjoy it and tomorrow I will offer up the SECOND alpha, which is the raspberry-colored glass alpha that you have seen in a couple of my layouts using *LOVE ACTUALLY*. Depending on how big this kit becomes, I may break it up into parts to keep the zip files between 20-25 MB's for those on dial-up. I remember THOSE days ALL too well and was NEVER so happy as when our community finally offered DSL! I had joined the 3Scrapateers' Creative Team and to download a kit, I would have to set my alarm to wake me up in the middle of the night so that I could wrap up one download and begin another!!! Anyone else EVER done that before??? It almost reminded me of the years of getting up for nighttime feedings when my children were babies!!! ROFL! A "BIG" thank you to all of those who have left me information on your use of humidifiers. I think I shall cruise on over to take a look at them during our next WalMart trip, which will hopefully be sometime soon! Ciao my bellas and I hope this shows up before the scheduled outage!!! P.S. EEEEEEKS!!!! My "frozen" brain ALMOST forgot to make mention of my NEW CATEGORY located on my sidebar. It is MOST appropriately named, ***HOT*** New Designers To Keep Your Eyes On (freebies included!). These are NEW designers on the block that I am finding (I'm sure MOST of you have already found them as well, but "just in case"!) and that ARE NOT currently selling anywhere and are offering their TIME and TALENT in the way of FREEBIES! Make sure when you visit that you leave them some LOVIN' and you might also let them know that I sent you!!! ARE YOU READY FOR SOME HEAVY METAL??? ANOTHER BEAUTIFUL SCRAPATIT FROM BONNIE!!! TWO DAYS, TWO DOLLARS AND TWO FREEBIES!! !